This Immaculate and MOVE IN READY home awaits its new owner. NEW ROOF INSTALLED, MAY 2018, INTERIOR COMPLETELY REPAINTED AND NEW CARPETS, OCTOBER 2018. This just needs you and your furniture to make it your new home. Excellent location on the very popular Chatham Park community giving you access to local amenities,dining,shopping,golf and all major roads including I-4,and Osceola Parkway. Chatham Park offers tennis court,basketball court,playground, picnic area and a community pool. This is the PERFECT HOME in a great community ideal for the first time buyer, a young family, vacation home use or as an investment. This home has great short term rental potential with the Theme Parks being just a short distance away. 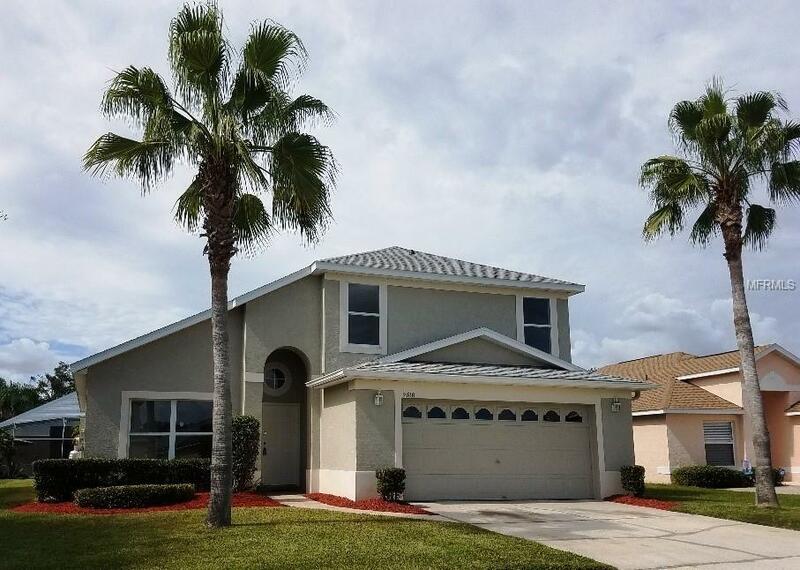 This 4 bed, 3 full bath home with a HUGE POOL and extended deck area has an open floor plan, with vaulted ceiling, formal living & dining room combo, family room, and eat-in kitchen. The ground floor master bedroom offers a LARGE walk in closet and sliding doors out to the large covered lanai.The master bathroom has twin sinks with large tub and shower combo. The spacious kitchen and breakfast area also has sliding glass doors out to the pool. A further ground floor full bathroom includes a wheelchair accessible shower area. The second floor has 3 further bedrooms all with ample sized closets along with the 3rd full bathroom. The 2 car garage has electric door opener, washer, dryer, sink and 2 large storage cupboards.Dont miss out on this adorable home ! Call today to schedule your showing!